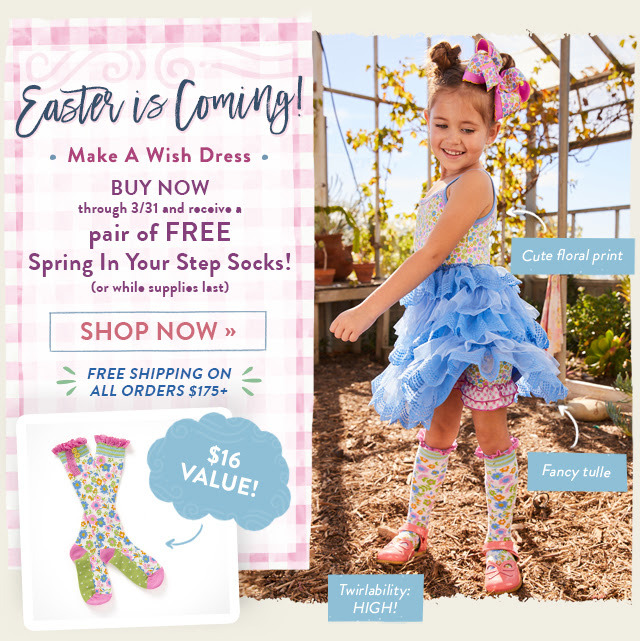 Day #5 of Deal of the Day ~ we have launched 5 of 5 new bundles featuring a girl's spring dress with a FREE coordinating accessory. I will refund your shipping on more than 1 order this week. We are also offering FREE SHIPPING at $175 ending on Sunday, March 24 but the bundles will be available through March 31.